Welcome, Baruch Ha Ba, to Rabbi Dr. Arthur Segal’s Jewish Spiritual Renewal, Jewish Renewal, Jewish Spirituality, and Eco-Judaism web site!! 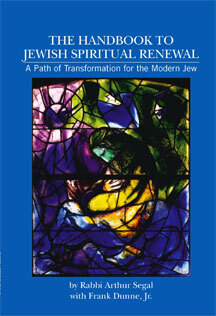 Jewish Spiritual Renewal is about individual spiritual growth. It is trans-denominational . It is not another Jewish sect or movement to add to the growing list. It is for any Jew who wishes to transform, love God, and truly love their fellows, living life with happiness, freedom and joyousness. It is modern Musar, efforts to further ethical and spiritual discipline, as well as being a modern ba’al teshuvah program for those who are lapsed or wish to increase their embracing of the spiritual aspects of Judaism. In this site you will find portals to Rabbi Arthur Segal’s officiating at weddings, and recommitment marriage ceremonies, including baby namings, baby blessings,custom ceremonies, traditional Jewish weddings, Jewish interfaith weddings, Jewish destination weddings, co-officiating. Rabbi Arthur Segal resides on Hilton Head Island, South Carolina, and is a close drive to Savannah, Georgia, and Jacksonville, Florida, as well as South Carolina’s Palmetto Bluff, Bluffton, Charleston, Isle of Palms, Kiawah Island, and Myrtle Beach. Rabbi Arthur Segal will work with a couple in developing their Ketubah, whether it is traditional, modern or interfaith. Under special circumstance, Rabbi Arthur Segal can officiate life cycle events on Shabbat, ie a Sabbath wedding. There is a portal showing you how you can study with Rabbi Arthur Segal for spiritual growth, learning from our great texts, and even for conversion. One can study with Rabbi Arthur Segal for one’s Bar or Bat Mitzvah. One can celebrate this rite of passage in the beautiful hotels and resorts or use local synagogues or temples. 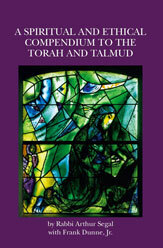 There is a portal introducing you to Rabbi Arthur Segal’s acclaimed books as well as to his blog and to his free on-line Jewish Spiritual Renewal classes. Of course no web site would be complete without a short biography of Rabbi Arthur Segal, what others are saying about rabbi and an easy way to contact him. If visiting South Carolina’s Lowcountry, contact Rabbi Arthur Segal and Rebbetzin Ellen for a Shabbat meal, in their island home by the sea, their beth yam.